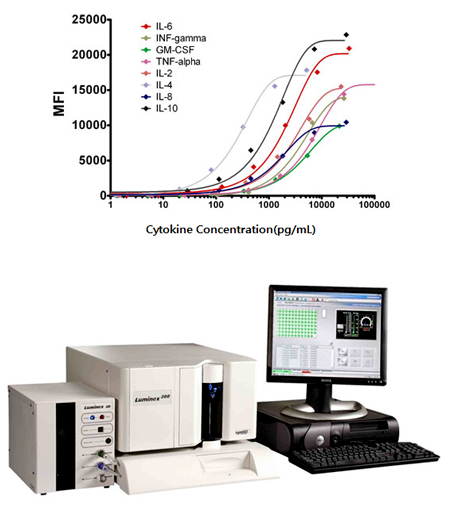 Cytokines are a broad and loose category of small proteins (~5 20 kDa) that are important in cell signaling. Their release has an effect on the behavior of cells around them. 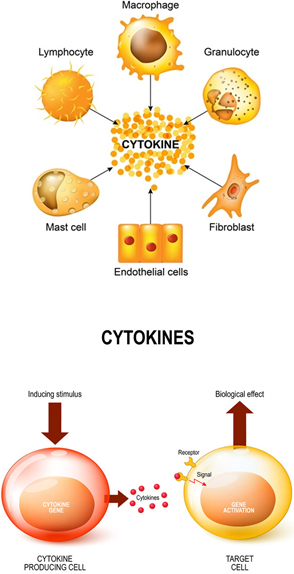 Cytokines are involved in autocrine signaling, paracrine signaling and endocrine signaling as immunomodulating agents. Cytokines act through receptors, and are especially important in the immune system; cytokines modulate the balance between humoral and cell-based immune responses, and they regulate the maturation, growth, and responsiveness of particular cell populations. Some cytokines enhance or inhibit the action of other cytokines in complex ways.